Long gone are the days when waiters kept notes and comprised long records of orders. In order for a contemporary restaurant or any other food venue, for that matter, to thrive and to be successful, there is a need for contemporary restaurant POS software. This is a solution which should be capable of issuing receipts, keeping track of tables and their status, taking orders, doing automatic calculations and others of the kind. This is specific restaurant POS software which is specifically designed for Microsoft Windows. 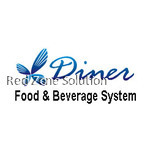 It’s a very suitable F&B point of sales software, which comes packed with a wide range of different benefits. It offers a tremendous amount of features and comprehensive functionalities. This is something which is going to deliver quick and particularly easy ordering service as well as order alteration, settlement, and billing. It’s your waiters’ best friend. This is undoubtedly one of the most critical components of any food venue. The table management provided by this particular restaurant POS software is great for restaurants which have dine-in environments. You will be capable of seeing a graphical representation of the arrangement of the tables as well as colour indicators. The latter will highlight tables which are currently vacant or not, depending on the settings that you chose. There are, however, far more convenient perks to this software. Right off the bat, the table management feature will show you for how long people have been waiting for their order. Or, it could also show you since when they got their order so that you can determine when it’s time for dessert or for main dish. This is something tremendously important. It also shows tables which require bills, tables which are billed and others of the kind. This is one of the important things that you need to account for when it comes to restaurant software. Having touch screen is without a doubt something that you must look out for. It’s going to ensure quick servicing, and it’s far more comprehensive and convenient for the personnel. In any case, this particular software is tremendously comprehensive, and it’s easy to use. Your waiters and waitresses will get used to it in a matter of hours, and it’s going to facilitate their efforts tremendously. What is more, it’s going to enhance their performance which is also something that you need to take into proper consideration. In any case, these are all things which are particularly beneficial about restaurant POS software and are things that you need to account for.